Take your event up a notch with our simply elegant White Padded Chairs! These chairs are crafted from the highest quality polypropylene with soft, padded seats. 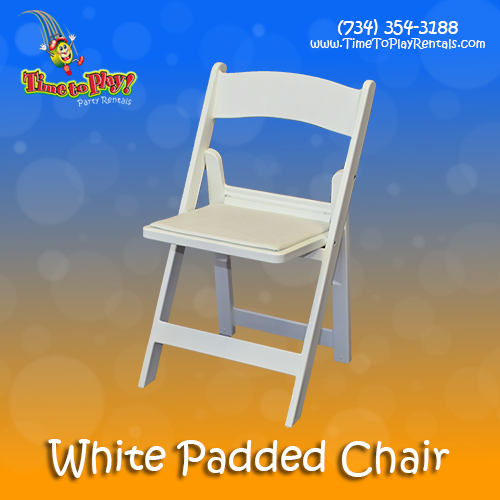 Our White Padded Chairs are a nice choice for family and corporate gatherings, and are ideal for wedding ceremonies and receptions. The addition of chair sashes will leave a lasting impression with your guests!